This enchanting, 15th-century coaching inn is adjacent to the river in the heart of historic Bradford on Avon. It has an excellent reputation for good food and great hospitality. 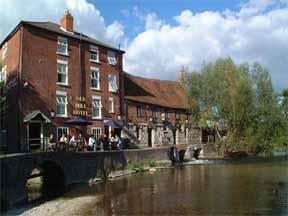 The Swan is 7 miles (11.3 km) from Bath and 12 miles (19.2 km) from Longleat Safari Park. 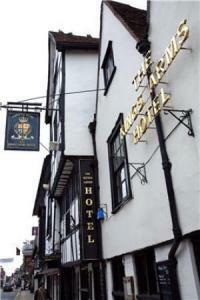 It has recently been completely refurbished to a modern standard, but retains its traditional atmosphere and character. Free Wi-Fi internet access is available throughout. 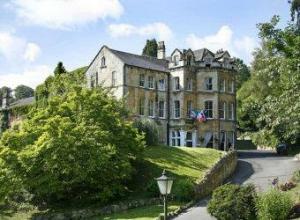 Rudloe Hall is not a large stately house but a very friendly, cosy Gothic Victorian mansion house. The house is set in 4 acres of beautiful, sheltered Victorian gardens with stunning views of the local countryside. 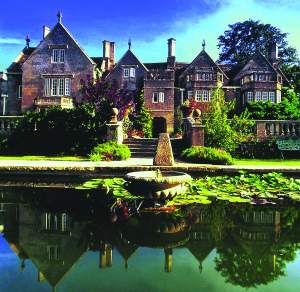 We are romantics with an ardent love of antiques and fine old things which make Rudloe Hall an interesting place to be. With cosy working Victorian fires in almost every room of the house, you will be made to feel at home and comfortable from the moment you arrive. Our staff are friendly, casual and very eager to please. They will do all those special little extras that modern hotels do not have the time to offer. We are dedicated to making your stay pleasant and relaxing and as different as you want it to be. 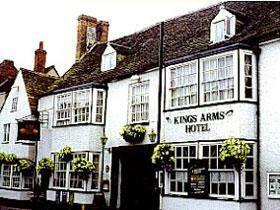 A former coaching inn dating back to Elizabethan times, The Kings Arms is a small hotel with modern conveniences, but traditional ideas. The beautiful black and white front stands out very clearly in Malmesbury's main street. This beautiful Wiltshire location is said to be the oldest borough in the country. Enjoy a restaurant, bar, free parking and free Wi-Fi. Set within a beautiful, ivy-clad Grade II listed building, this elegant Victorian hotel stands on Wroughton's picturesque High Street, in the very heart of Wiltshire. The Ivy Hotel comprises of 2 parts; the old Victorian manor house and the newly-built Willow House, adjoined via a beautiful, light conservatory. The elegant main house features soft, luxurious furnishings, and rooms display many original features. The Conservatory is furnished with comfortable seating, so you can sit back and watch the world around you go by with a drink or light meal. 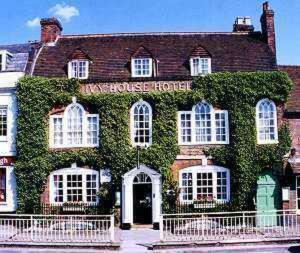 The Ivy Hotel also offers an ideal base from which to discover the delightful attractions Wiltshire has to offer. In the surroundings you can find nature trails, golf courses, the largest designer outlet in Europe, the stones at Avebury and Stonehenge, the heart of the Cotswolds, the Badminton Horse Trials, the Marlborough Cup, Castle Combe Motor Racing Circuit and Swindon. These countryside cottages near Bradford on Avon stand in the grounds of the idyllic 18th-century Beeches Farmhouse, 7 miles from Bath and 40 minutes from Longleat. All cottages have been sympathetically converted to offer luxurious holiday accommodation surrounded by open pasture on the outskirts of an area of outstanding natural beauty. 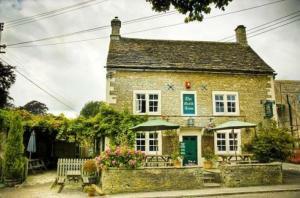 This 17th century stone country inn is set in an Area of Outstanding Natural Beauty in the ancient and unspoiled village of Grittleton. Grittleton is situated a few miles off junction 17 of the M4. Close by are the picturesque places of Bath, Chippenham, Chipping Sodbury and Malmesbury. Set in almost 2 acres of peaceful and attractive gardens, bordered by 2 streams, the Pembroke Arms is a historic Georgian building offering en suite accommodation and free parking. The Pembroke Arms is a family-run business and your hosts, Alison and Ido Davids, pride themselves on providing a warm welcome and that friendly, personal touch. There are just 8 rooms, ensuring that all guests enjoy attentive, individual service. Each of the rooms has been recently refurbished and sensitively renovated, retaining their original Georgian character and charm. All rooms are en suite and each room has a 26-inch flat-screen digital TV, tea/coffee making facilities and complimentary fresh fruit and bottled water. Secondary glazing has recently been installed, making the rooms quiet, warm and cosy, without removing their original Georgian window frames. 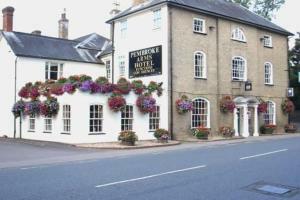 In March 2008, the Pembroke Arms was awarded 4-stars for its guest accommodation by VisitBritain. The restaurant offers a contemporary ? la carte menu and guest can also eat in the more informal bar. In a peaceful countryside location, only 7 miles (11 km) from Bath, these beautifully converted farm buildings now house luxurious en suite rooms, all with their own separate entrance. In Bradford on Avon, on the edge of an area of Outstanding Natural Beauty, the Beeches Farmhouse Bed and Breakfast offers luxurious accommodation in delightful 18th-century farmhouses, built from local limestone. There are double, twin and family rooms, all in detached converted farm buildings, each having their own front door key and patio area, giving you the independence to come and go as you please. All rooms have full en suite facilities, including baths and showers. Sympathetically restored to their former glory, the rooms are decorated to a very high standard, with original exposed beams, stripped wooden floors and country pine furnishings. All rooms have colour TVs, radio alarms, tea/coffee making facilities, mineral water, fresh fruit and flowers. Breakfast is taken in the conservatory, in the main farmhouse. Just off the M4 motorway, Hilton Swindon Hotel boasts a fitness centre and contemporary rooms. Swindon town centre is just 3 miles (4.8 km) away. Hilton Swindon Hotel's health club has features including a swimming pool, gym, sauna and solarium. There is also a beauty salon offering a range of treatments. 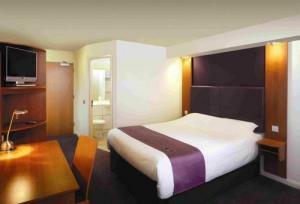 All spacious rooms at Hilton Swindon feature a 32-inch LCD TV and comfortable beds. Some rooms have a Sony PlayStation. Minsky's Restaurant serves a British and international menu and the hotel bar features a plasma-screen TV. Relax in Caffe Cino. The Windmill Hill and Blagrove business areas are nearby. This traditional countryside inn on the banks of the River Till is set in an acre of grounds that hosts an outdoor heated dining area and a large garden. 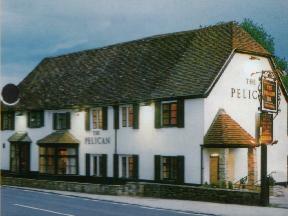 Set on the A36 in the picturesque village of Stapleford, The Pelican Inn features original beams, log fires and the converted Stables restaurant and bar. Whether you are looking for a short break or just a night's stay after a busy day, you will always find good food and a friendly, relaxed atmosphere. This warm and cosy hotel with lovely views and a restaurant is in the beautiful Marlborough Downs of Wiltshire. 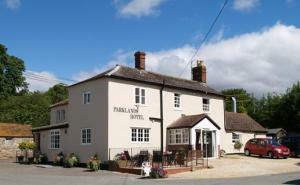 The family-run Parklands is an 18th-century country inn with friendly staff and up-to-date facilities. It is a 5-minute drive from junction 15 of the M4 motorway near Swindon. Avesbury Stone circle is 6 miles (9.7 km) away. The relaxed restaurant serves local produce in a comfy, candlelit setting. Bedrooms are en suite, well-equipped and comfortable. On the High Street, in the heart of the market town of Marlborough in Wiltshire, this beautifully preserved Georgian building offers free parking, great food and charming individually decorated rooms. Grade II listed, the Ivy House is a fine example of Georgian architecture, with many beautiful original features reflecting its 300-year history. 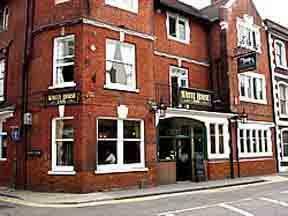 Carefully preserved and sensitively refurbished, the hotel offers modern comforts and facilities. All of the en suite rooms have satellite TV, a work desk and tea/coffee making facilities. Each room is individually decorated, with its own unique character. Overlooking the hotel's south-facing sun terrace, the elegant Scotts' Restaurant serves fine English cuisine, made using the freshest local produce. With sophisticated Georgian elegance combined with free wireless internet access, the hotel's public areas boast attractive original features. Relax in front of the fire in the Churchill Suite or the Lounge and enjoy a traditional afternoon tea prepared by the hotel's own in-house pastry chef. This Silver Award guest house is situated in an elegant Edwardian house in Salisbury, where you will find warm family hospitality, attentive service and a friendly atmosphere. Rokeby Guest House is set within half an acre of landscaped gardens that features an ornamental fish pond and fountain. This warm and friendly family bed and breakfast is run by Karen and Mark Rogers who strive to give it the sort of personal attention that creates a friendly atmosphere. The guest house has a licensed bar and a bright conservatory area where you can enjoy a hearty full English breakfast each morning. During summer months, you can enjoy a barbecue before lazing in the gardens. 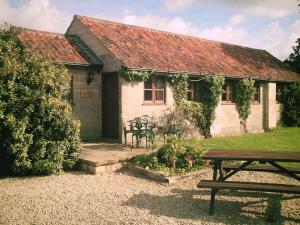 From the guest house you are only a 10 minute stroll from Salisbury Cathedral and 8 miles away from Stonehenge. Bath and the beaches of Bournemouth are only an hour's drive away.